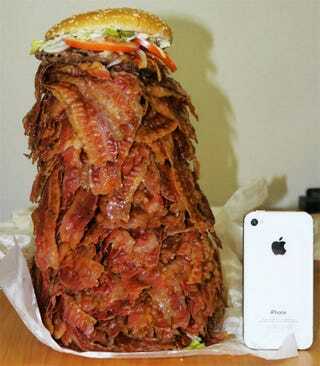 Last night, I dreamed about bacon. Like, I had other dreams, and they were my normal ultra-vivid dreamscapes (e.g. being in a haunted house that so overwhelmed my paranormal senses that I began having seizures). I had a dream that was - just...bacon. I think I had a special Bacon Rack for it.